For a remarkably vibrant, high-contrast image. 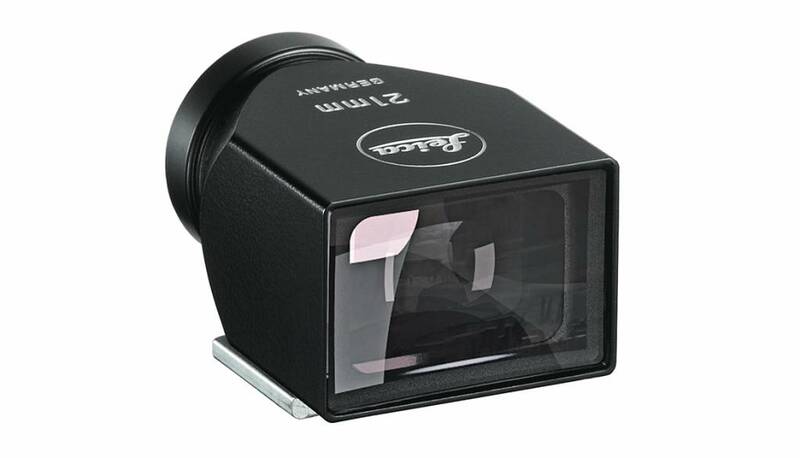 Accurate framing This particular Leica Viewfinder M is made to get the best from wide-angle lenses with focal lengths of 21 mm. It allows precise and comfortable image composition. Due to a concave mirror in the optics, part of the incoming light is used to illuminate the picture outline as a bright frame for exact cropping. The entire optics are given a high-quality multi-layer coating to guarantee optimum viewing under all conditions. The viewfinder has parallax compensation markings for distances below 2 m that make it ideal for analog and digital photography. It is milled from solid brass according in the latest technological fashion and comes with a silver-chrome or black paint finish. The eyepiece side is rubberized to protect glasses.